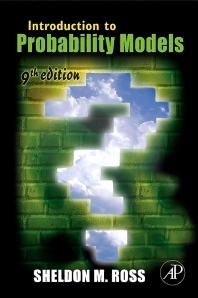 Ross's classic bestseller, Introduction to Probability Models, has been used extensively by professionals and as the primary text for a first undergraduate course in applied probability. It provides an introduction to elementary probability theory and stochastic processes, and shows how probability theory can be applied to the study of phenomena in fields such as engineering, computer science, management science, the physical and social sciences, and operations research. With the addition of several new sections relating to actuaries, this text is highly recommended by the Society of Actuaries. A new section (3.7) on COMPOUND RANDOM VARIABLES, that can be used to establish a recursive formula for computing probability mass functions for a variety of common compounding distributions. 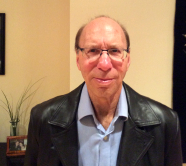 A new section (4.11) on HIDDDEN MARKOV CHAINS, including the forward and backward approaches for computing the joint probability mass function of the signals, as well as the Viterbi algorithm for determining the most likely sequence of states. Simplified Approach for Analyzing Nonhomogeneous Poisson processes Additional results on queues relating to the (a) conditional distribution of the number found by an M/M/1 arrival who spends a time t in the system; (b) inspection paradox for M/M/1 queues (c) M/G/1 queue with server breakdown Many new examples and exercises.